The sparks flying due to the Artificial Insemination Law should not impact the ratings of the Lithuanian Peasant and Greens Union (LPGU) and a part of society may overall find the topic hard to understand note experts. 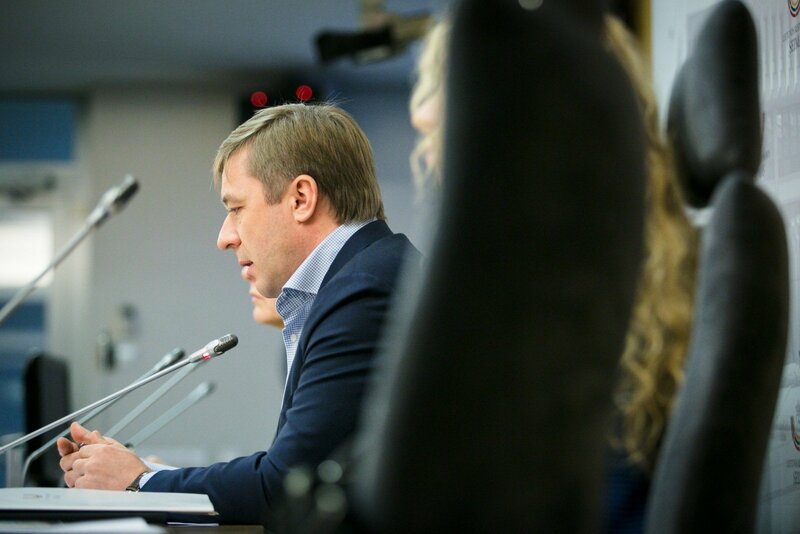 Public relations specialist Arijus Katauskas points out that LPGU leader Ramūnas Karbauskis withdrawing from the primary and conservative edition of the legislation is not a minus, but a huge victory. “The game R. Karbauskis has engaged in is not short term, but long term. I am not saying it is a manoeuvre akin to Grand Duke Vytautas the Great, but it is a manoeuvre nonetheless,” says the chief partner of the public relations agency Nova Media Arijus Katauskas. According to the expert, the whole spectacle occurring in the public sphere is not intended for voters. Katauskas points out that many do not even understand what exactly is being discussed. “Perhaps a number of voters will say that Karbauskis lost, but his communications have clearly displayed that he withdrew because the topic has not been explained to people sufficiently. We all clearly understand that in society this topic is in the top fifty. This withdrawal of R. Karbauskis’ is a major victory for him – LPGU members witnessed that he did everything possible, going as far as participating in Edmundas Jakilaitis’ show on LRT television, knowing he would lose, where he performed very poorly. But he still went,” explains A. Katauskas. Institute of International Relations and Political Science lecturer Mažvydas Jastramskis states that “Peasant” ratings are unlikely to shift due to this. “I definitely do not think that these questions are those which would raise or decrease the Peasant Greens’ popularity. It could be that they will have no real influence. […] Their ratings will change when some sort of scandal related with transparency or doubt occurs. Another question – how will they satisfy voters’ expectations regarding socioeconomic issues and social problems – emigration, alcoholism, average living standards? Thus the discussion revolves around whether it will appeal to the half percent of Christian Democrat voters or not,” spoke the political scientist. According to Jastramskis, if we tie LPGU rhetoric to the position of the Church and religious sentiment, then a certain segment of the population will find it acceptable, but this segment is very limited. “Based on people’s values Lithuania, compared to Poland, is a more secular state and less religious. Hence an overly moralising tone, appealing to religious aspects could fail to bring results,” he assures. Furthermore, political scientist V. Gaidys points out, while based on census data and identity Lithuania may be a Catholic state, but this does not mean it is a deciding factor in voting. “We celebrate Christmas, Easter and during All Souls‘ Day many people visit cemeteries. This, however is more related to ritual. We can talk about divorce which is not at all included in Catholic doctrine because God brings together for life, rather than parting at will,” says V. Gaidys. A. Katauskas is surprised by discussions in the public sphere that supposedly the LPGU started narratives it has never before employed, he notes this is completely untrue. “They escalated a number of things strongly from the very start of their campaign. They escalated the topic of embryos and access to alcohol, as well as LGBT rights. It was no concealed from voters during the campaign,” he assures. The expert does point out that the LPGU does veer away from the Christian Democrat line. LPGU rhetoric in the public sphere or in forming communication messages does not contain certain attitudes frequently present among Christian Democrats and revolving in the minds of senior members of the Conservative Party. “From the communications side let us look at relations with the LGBT community. I was very surprised that during this year’s LGBT parade, the Liberal Movement leader did not participate. Later on various political research displayed that our Liberal voters, compared to those in Scandinavia are actually rather conservative. In Lithuania it is not a good sign for Liberals to join such a parade in regard to their voters. This line is completely understandable and I am sure they will hold to it,” stressed A. Katauskas. Sociologist V. Gaidys notes that while many things that the LPGU talks about are not new, it is important how it is said and whether they do not go overboard. While the problem of alcoholism has been talked about for 25 years, the LPGU managed to express it in an appealing way. “This is why it is important whether they will find the right tune in other matters, making a harmony, not a cacophony,” added V. Gaidys.